There are many places in the world that you can experience incredible diving, and the Philippines is definitely one of them. With amazing visibility, abundant marine life and a passionate local community of divers, the Philippines is the perfect place to plan your next diving adventure. If you’re not sure where to start, here are 4 world class dive sites in the Philippines. 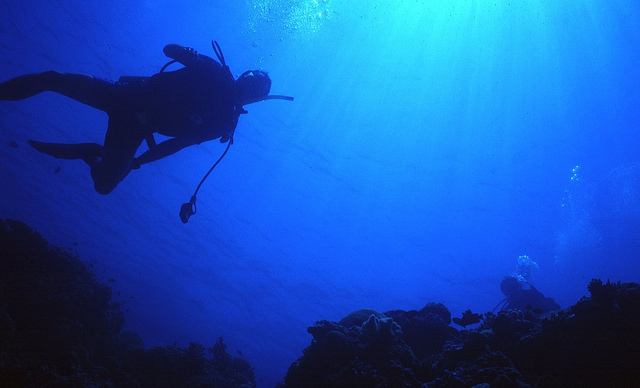 This world famous marine park offers a collection of dive sites that cater for every level of experience and style of diving. Apo is a 34km reef that allows divers the chance to interact with an amazing array of marine life, from the very smallest organisms right up to sharks, schools of barracuda and even giant rays. Those with an interest in marine photography will love the sheer diversity that Apo reef offers its visitors. This is one of the only places in the world that you can still have the chance to dive with the amazing Thresher sharks. Monad shoal is a sunken island at about 20m that the sharks use as a cleaning station. These magnificent and rare creatures are simply stunning to watch, and the chance to dive alongside them is a truly exceptional experience. If you are really lucky, you may also spot a magnificent Manta Ray on the same dive at Monad Shoal. In close proximity to resorts and facilities, the Sabang Bay dive site is highly popular with travellers from around the world. From the shallows through to the wrecks, this site has something for everyone to enjoy. For the best chance to see the greatest diversity of marine life including turtles, an early morning dive is recommended. You’ll beat the mid-morning rush, and only have to share the water with keen photographers and the amazing marine life that populates this beautiful site. Being close to Manila makes this one of the most accessible dive sites in the Philippines for a wide range of divers. You can expect to see a stunning variety of macro marine life, such as scorpion fish, ribbon eels and brightly coloured nudibrachs at this site. When the currents pick up and get a bit stronger, there is an increased chance to see some of the larger inhabitants such as sharks and tuna. Visibility is clear, and the corals are plentiful and varied in both colour and texture. Overall it is a great dive site with something that everyone from beginner’s right through to experienced divers can enjoy. Diving in the Philippines is truly the experience of a lifetime. When you’re looking to start planning your holiday, make sure you check out Flight Centre for cheap flights to the Philippines and the very best deals on accommodation as well. Make your dive dreams a reality with a world class diving getaway that you’ll simply never forget. The Philippines is a country that is made up of a large number of islands that lies in the western portion of the Pacific Ocean, and with a population of over ninety million it is among the largest countries in Asia. However, this large population doesn’t mean that it is a fully urbanized country, and there are still vast areas of beautiful beaches and natural beauty to be found here. For tourists to the Philippines, the natural sights to be enjoyed on these islands are often just as important as the experiences they have and the cities they visit. 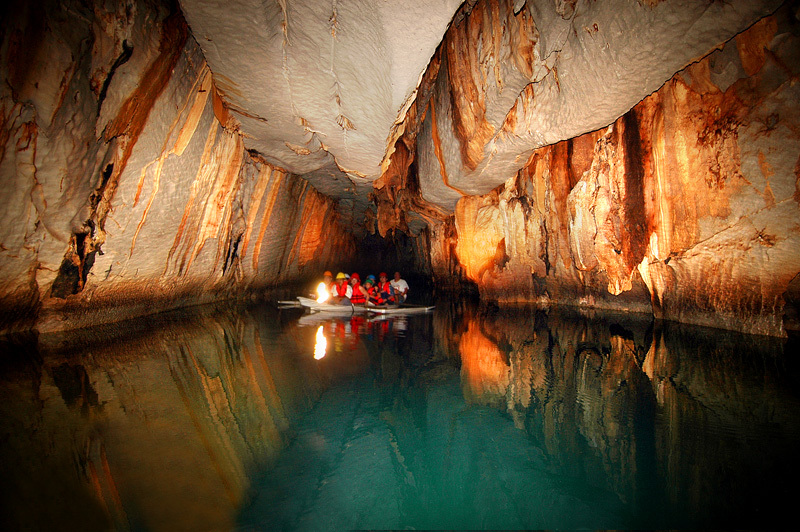 This underground river is one of the most remarkable sights in the whole of Asia, and with a huge cave dome above the river itself and stunning rock formations, it is a truly unique experience to visit the site. The river in question here is the CabayuganRiver which runs under the limestone rock of the hills for over eight kilometers, and has carved out a number of stunning chambers. Because of the lack of oxygen, visitors are only allowed to see some of the river, but can still enjoy wonderful rock formations such as stalactites. As the river itself flows into the sea, much of the underground river is subject to tidal effects, and this means that the ecosystem itself is also unique. Because of the species of bats and marine creatures along with the river itself, the river was designated as a world heritage site by UNESCO. As the largest mountain in the country, MountApo is naturally one of the most attractive places for hikers and climbers coming to the country. The steep sides of the mountain rise from the flat land surrounding it, and is believed to be a stratovolcano that may be active, and as it rises from a very flat island climbers will be climbing from a very low starting point up to the peak at 2,954 meters above sea level. As well as being a popular climbing and hiking destination, MountApo is also noted because of its diverse natural ecosystem which includes many species only found in the region. One of these species is the Philippine Eagle, which is critically endangered although still sometimes sighted in the air around the mountain. The view from the highest point in the Sierra Madre is without doubt one of the most beautiful scenes in the whole of the Philippines, with the tropical forests covering the land as far as the eye can see. A part of the range itself is made up of the Quezon National Forest Park, where the best of these forests are managed and cared for. Within these forests are many animal and bird species, and the change in the climate can also be seen in the different habitats within the mountain range. This atoll coral reef lies in the Sulu Sea off the coast of the Philippines, and is an important area because of the vast array of different species to be found in the area. The coral itself is so important that it is a part of a protected marine area, and people visiting the area are not allowed to set foot on the sand bars around the area. One of the most attractive features for divers is that there are diving trips allowed in the area, and the sheer density of species means there is plenty to be seen around these reefs. Lionfish, clownfish and sea turtles are often seen here, and there are also other species such as moray eels, tiger sharks and hammerhead sharks to be found here. The corals are also vividly colorful and beautiful to see, making a diving trip here absolutely spectacular. Another reef that lies within a dedicated national park is the Apo Reef, and has the accolade of being the second largest contiguous coral reef system in the world. It can also boast a wide range of different marine species, while the island near the reef has a number of mangrove stands. This is another popular diving site which has developed a tourism industry, with the beautiful coral and plentiful numbers of fish making for a stunning diving experience. This beautiful group of islands in the South China Sea is without doubt one of the best places in the world to enjoy blue seas and golden sands, and there are destinations to be found across the country depending on the features you’re looking for. One of the most popular seasons to visit the country is between March and May which is the hot and dry season in the country, while December to February is still pleasant enough and avoids the worst of the monsoon season. As well as the wonderful beaches, many of these islands also boast some wonderful cultural sites and events that can be enjoyed too. This is probably one of the most well known beach holiday destinations in the Philippines, having won numerous national and international tourism awards for its stunning beaches. Boracay is a small island that lies a short distance away from the much larger island of Panay, and has been one of the foremost sites to see tourism development, with numerous water sports being promoted. Among the events that are held on the island of Boracay, it is one of the most important destinations on the Asian Windsurfing Tour, and also holds a water sports festival every January. Visitors can enjoy varied activities such as scuba diving, kite boarding and cliff diving, while those looking for a more refined afternoon can enjoy one of the great golf courses available. 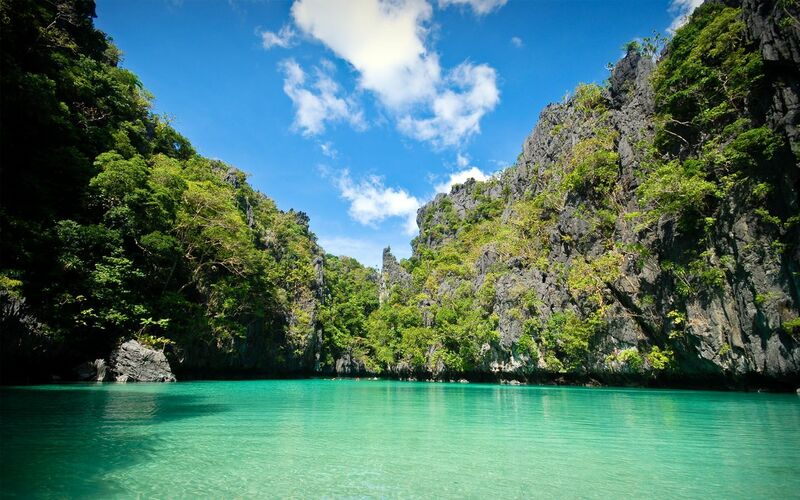 One of the more interesting beach holiday destinations to be enjoyed in the Philippines is the El Nido Marine Reserve Park, which is made up of the northern tip of the island of Palawan along with a number of small offshore islands. The area itself has been protected because of its populations of birds and rare turtles, and the resorts within the reserve offer a very different type of experience. The places to stay on El Nido tend to be much more basic than major hotel developments, and are particularly focused on being sustainable and not harming the environment. However, for those who enjoy amazing beaches, then El Nido has a wealth of beaches around the island that are great places to relax. An island that lies at the heart of the Philippines is Bohol, and this is wonderfully located as a beach holiday destination because the waters here are almost always calm during the holiday season. This is because there are various islands around Bohol that take the brunt of the prevailing winds from the Pacific, meaning the beaches here enjoy clear waters and golden sands. As well as being a beach holiday destination that is growing in popularity, there are also a number of attractions for those looking for some culture and sightseeing too. 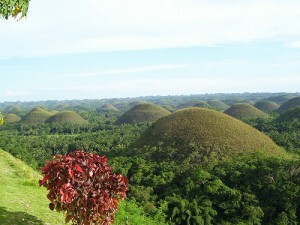 The Chocolate Hills are unusual hills that rise from the forested valley floor, yet only grass grows on these hills, and this grass turns brown in the summer giving the hills their name. One of the islands of the Philippines that enjoys enduring popularity among visitors is Great Santa Cruz Island, and unlike much of the rest of the islands across the country, the beaches here have a distinctive pink hue. As the island itself is a protected area, those looking to enjoy time on these beaches will have to stay in Zamboanga City which lies a short boat ride away on the significantly larger island of Mindanao. The distinctive color of the sand is caused by the erosion of the red coral that was until recent years a particularly attractive part of the island’s ecosystem, but illegal mining of this coral has left the majority of the reefs off the island dead or dying. The island is receiving significant investment as an ecotourism site to bring more people to its wonderful beaches.